Kinlet Hall was built in the early eighteenth century for Sir William Lacon Childe, and was completed in 1729. The architect, Francis Smith of Warwick, was a master-builder responsible for many fine houses throughout the Midlands. The nearby properties of Mawley Hall and Davenport House, which were also his work, share striking similarities of design as well as a Grade One listing. The only significant change to the original design was the addition 100 years later of a fine neoclassical library by Edward Haycock, Sr. 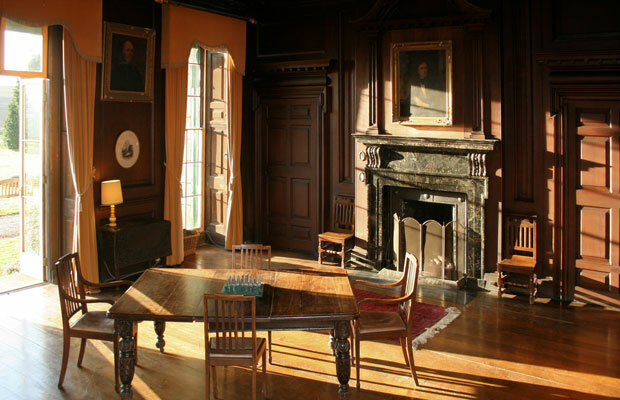 This room now serves as a stage and auditorium for the school’s music and drama, and stands at the end of a lavish sequence of interjoining reception rooms – an ensemble that makes Kinlet Hall a great venue for functions for both the School and private hirers out of term time. For more information visit the Kinlet Hall website: www.kinlet-hall.co.uk. The 18th-century layout included a great sweep of parkland surrounding the house. Much of this is now arable land. However our own 100 acres of grass and woodland adjoining the house retain many features of the original design, all set well away from the main road. This provides us with space for playing pitches, courts, lawns for play and leisure. Our private wooded ‘Walk’ contains a number of fine specimen trees, two medieval Spanish chestnuts, secluded lawns, a rose garden and one of the largest walled gardens in Shropshire. It also contains our ‘Forest School’. 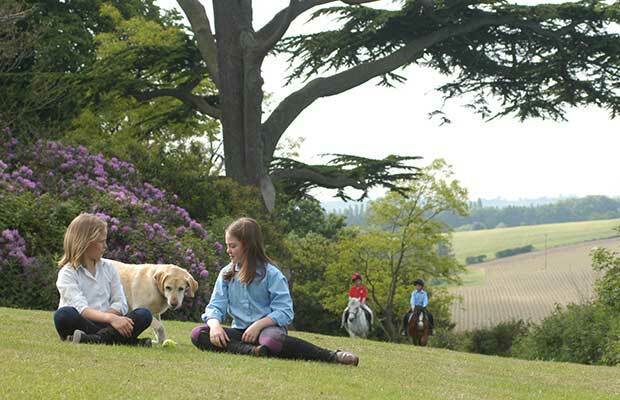 Past pupils often remind us of the fond memories they continue to hold of this idyllic place. The Church of St John the Baptist dates from Norman times. It is a building of significant architectural and historic merit, which is recognised by its Grade One listed status. Its two side chapels and numerous tombs demonstrate the highest standards of craftsmanship, and commemorate the Blount and Childe families, who were the manorial lords of Kinlet for many centuries. The fact that the Church is sited in our grounds, a couple of minutes’ walk away, is very convenient for the School, and our students are welcome to attend Sunday services.